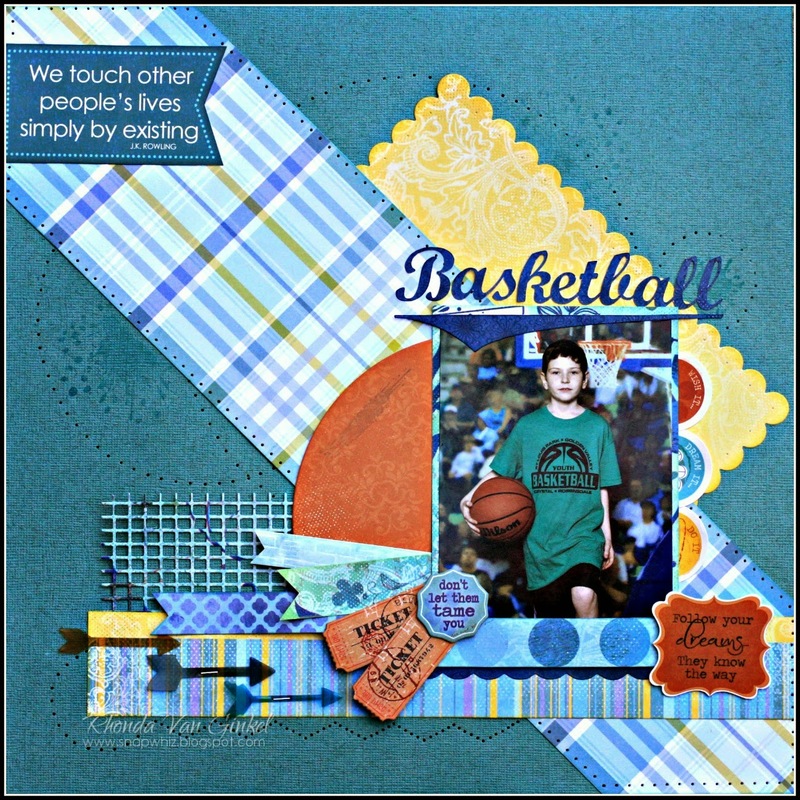 I've got a March Madness inspired page to share with you. Recently I received some basketball photos of my nephew for this year. I try to scrap several pages of him each year to put into a special book for him. The colors in the Calypso collection were just perfect for the photo, plus you gotta love the tickets! "Follow your dreams, they know the way!" I cut the Basketball title work with my Silhouette. 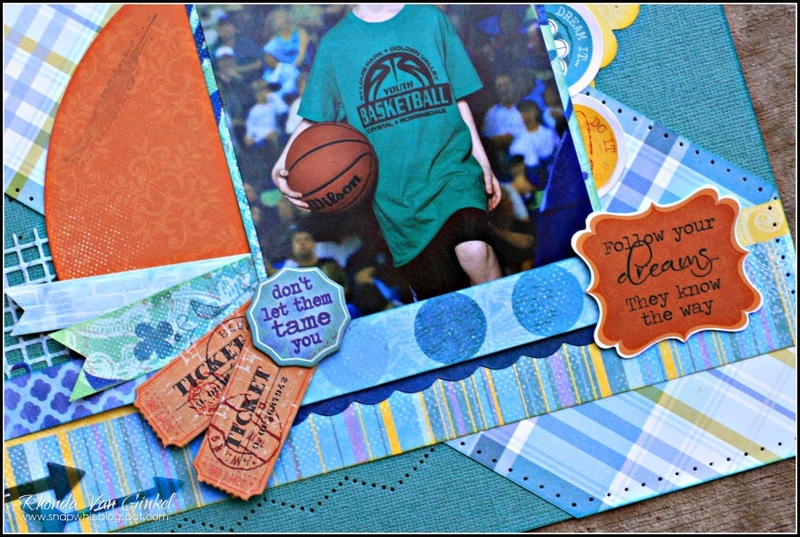 I stamped some texture stamps using Coal Miner and Baja Blue. I really love how the Serendipity and Calypso collections work together so beautifully! I really like how you used the diagonal cut from the paper. So awesome, what a cool boys page! Such fun elements Rhonda. I love your design. I love this, awesome colors and I adore the piercing! I also have to say I love the paper piercing - great layout!